A little over 35 years ago, a group of committed citizens joined forces to improve the area known as North Flatbush Avenue. This group was comprised of merchants, property owners and residents such as Fran Trowbridge, Regina Cahill, Sophie Edeler, Joe King (Century 21 Real Estate) Bill Shapiro (Triangle Sports) and the Pintchik family (Pintchik Hardware). For years, we have been planning a new streetscape for Flatbush Avenue with a focus like that of 1974 when the Triangle Parks were created. In July 2008, neighborhood citizens participated in our Community Forum hosted by the NYC Project for Public Spaces and then Councilwoman Letitia James and the North Flatbush Avenue BID. 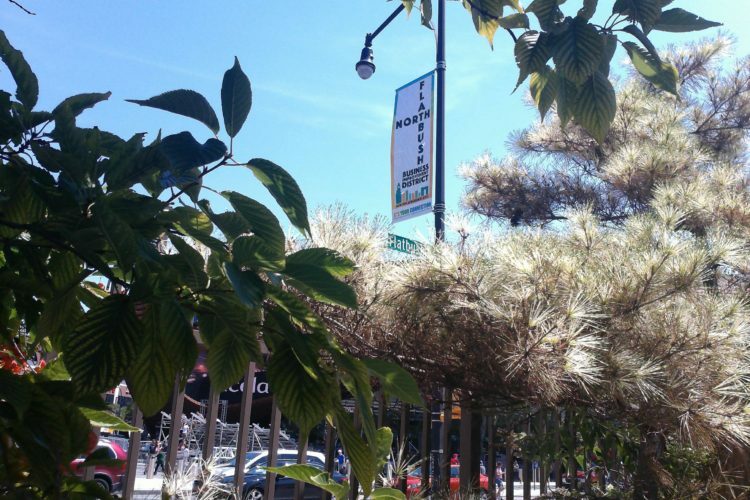 What is Flatbush Avenue? What would you like to see? 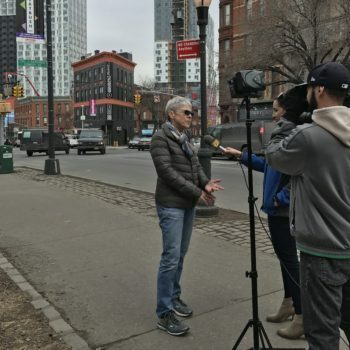 The NYC Department of Small Business Services (NYC SBS) awarded the BID a grant which allowed us to create a conceptual streetscape design that addresses concerns expressed at the forum. More seating, more trees, potted plants, a respite. These plans were revealed to the public and the press at our 2009 Annual Meeting with “W” Architecture and Landscaping LLC. and elected officials. 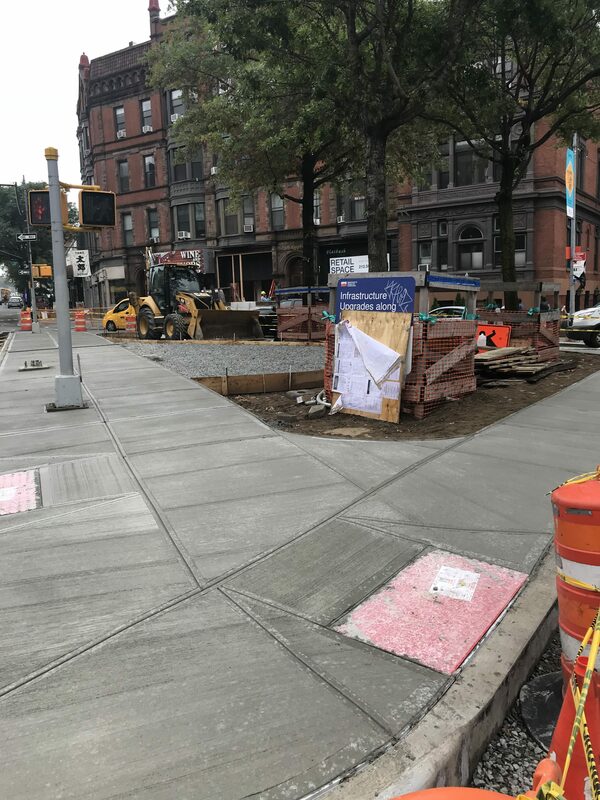 We were able to entice and cajole our fine city to fund the Flatbush Avenue of the future, pulling together close to $3 million in capital funding for our project. It has a been a long haul, but we are nearing the final stages of construction! Our renovated triangles parks and curb bump-outs create safe, welcoming space for shoppers and residents. But the work is never over! Moving forward, our placemaking efforts will continue to reflect this same goal of making North Flatbush hospitable for all. 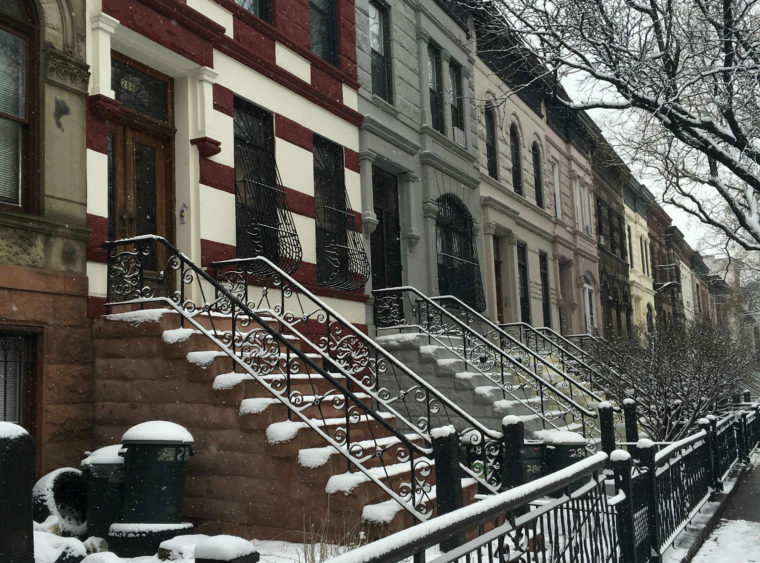 We encourage neighbors to engage us on social media– Twitter @NFBID at Instagram @NorthFlatbushBK and Facebook at facebook.com/northflatbushbk We post regularly and provide photos of our activities. This is a great way to find out what is happening in the area, including construction updates, traffic updates and “Breaking News”. Send us your email address and we will keep you up to date. The North Flatbush Avenue BID is a member of the Brooklyn Chamber of Commerce, the Park Slope Civic Council, and the New York City BID Association.